NYC Recession Diary: Time OUT NY: Free 2 year subscription! 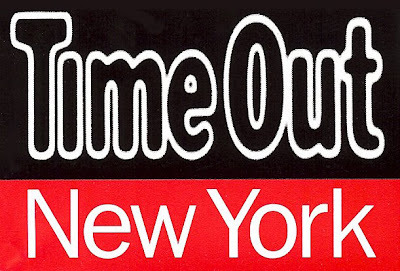 Time OUT NY: Free 2 year subscription! This made my day! A free 2 year subscription to TIME OUT, somehow tied to/courtesy of the Tribeca Film Festival. Don't ask questions (so unecessary! ), just click the link and fill out the form. If all is well, your subscription will start in 4 weeks. Do this STAT, because who knows how long this link will last. Thank you to David for emailing this to me! If you have a cool NYC freebie tip, please email it to nycrecessiondiary AT gmail.com. Good life karma will likely follow.